This article is about industrial history in Greenwich – why it is so important. I am going to try to explain that there is a whole history of unrivalled innovation here. But, which, sadly, we ignore – preferring kings and queens, without knowing about their role in all this – it was because of decisions made by the Tudor monarchs that Greenwich became so important. This article has been put together really quickly – so, it’s all out of my head and no footnotes. I don’t knew when the start of all this industry was – the earliest I know is the 12th century tide mill which turned up on what we call the Lovells site a few years ago. That is still being researched and dug. Mills worked by the power of the tides tend to be about large scale works – this mill, we suppose, was owned by major landowners, St.Peter’s Abbey , Ghent. So, perhaps we had an early medieval industrial village – based round Ballast Quay – milling and fishing. Fishing – there was a lot of that. In the 19th century Greenwich fishing fleets were out in the North Sea, catching cod. When the railways came some of the ship owners went up to Grimsby and helped start a new centre there - but that is running ahead of myself. Fishing meant boat building – and that was certainly going on along the riverfront. Historians have some arguments about the scale of it, but maybe by the late Middle Ages big ships were being built in Deptford – and some were for the King. Henry VIII – we hear a lot about him in Greenwich – but he took the decisions which made our industry so important later. First of all he encouraged what became the Royal Dockyards at Deptford and at Woolwich (and of course, elsewhere) and we can trace all sorts of threads from that in terms of British Naval Power – but also in terms of all sorts of technologies around ship building, and social outputs like the Co-op and trade unions (the first recorded instance of picketing is at Woolwich Dockyard). But it wasn’t just ships with Henry VIII – he also encouraged all that fancy armour we see in the Tower today and other bits of military innovation in the Great Barn at Greenwich. Over the centuries some of that ended up moving down to Woolwich and became the Royal Arsenal - where they made big, big, big guns and did major research in what could be the biggest factory complex ever – Woolwich trained engineers went out in the 18th and 19th and set up whole industrial complexes with what they had learnt here. I must go back to the chemistry for a bit – and return to the 17th century. After the Restoration various individuals came back from exile on the Continent with all sorts of ideas. 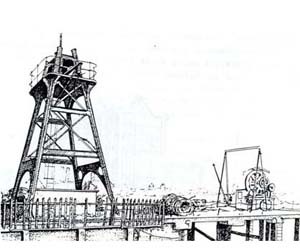 One, Nicholas Crispe (he’s buried in Hammersmith) opened a copperas works in Deptford – one of many along the Thames. (And, by the way, the first known mention of coke manufacture is in 1636 in Deptford). Among other things copperas was the earliest way of making sulphuric acid – there is a famous 1845 quotation about how important it is to a developed economy. In time, other chemical entrepreneurs moved to Deptford Creek – there was a Beneke from the family who also produced Felix Mendelssohn and there was wicked Frank Hills – at Deptford they seem to have developed more modern and efficient methods of producing the acid. Just downstream from them in the 19th century John Bennett Lawes discovered how to make modern fertilisers – while Frank Hills changed the gas industry, and, in Germany, Mendelssohn’s son founded chemical works which provided the base for their great industrial expansion. Back to the river and the ships. A major energy source, of course, was coal – much of it from the north east coal fields. Forget the romantic days of sail in the river –most of the ships were dirty little colliers doing the round trip from Newcastle and Durham, year in year out and much of it was unloaded in a facility off Charlton. Coal fed industry’s need for heat and light. But it was also a major source of raw materials (my PhD was about how they used the chemicals recovered from coal). 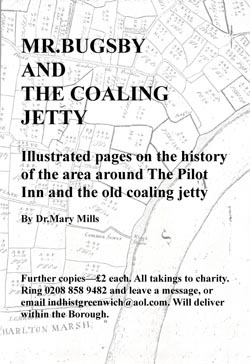 I have considered writing the history of the industries of the Greenwich Peninsula in terms of coal used as a raw material – all those factories making tar products, even the soap they made was ‘coal tar’. London River was THE major shipbuilding area in the country up to the late 19th century but Greenwich was never in the same class for that as surrounding areas – give or take a few late aberrations like Blackadder and the two first ro-ro ferries. Frank Hills built his battleships on the other side of the river – have you ever thought what it must have been like to look out and see Warrior being built over on Bow Creek??? In Greenwich Woolwich trained engineers worked at Penn’s great marine engine factory on Blackheath Hill – and pushed at the boundaries of design and innovation. Some of them went off to the provinces to open factories making things like bicycles and sewing machines. Have you any idea of the amount of highly skilled engineering in Greenwich in the 19th and early 20th centuries?? Greenwich was also a centre for barge building – prize winning vessels with design criteria pushed by the skilled workers of firms like Pipers. When the Government began to send battleship orders to the Clyde and Tyne – so Penn’s turned to making cars and lorries, like many others. So – what has all this got to do with today when it’s all about the internet and stuff like that. Well – lets go down to Enderby Wharf. Contrary to popular belief the Enderby family had their whaling base elsewhere. Their Greenwich works was a rope and canvas factory – and the 1830s they tendered to make some cable which was part of experiment in communication on an early railway. This became the Electric Telegraph – and as the Enderbys left, the factory became Glass Elliott, and then Telcon and now it’s Alcatel. It was under Glass Elliott and, thanks to Brunel’s, Great Eastern, that the underwater cable crossed the Atlantic – and something quite important happened to international finance. It wasn’t just that – cables went round the world from country to country and by the 1920s the Greenwich works had produced the vast majority of them. What hadn’t been made here was made by Siemens of Woolwich (who also produced vast numbers of telephones), Johnson and Phillips of Charlton (who also produced vast quantities of large electrical equipment), and a couple of factories in North Woolwich. Alcatel no longer make the cable itself in Greenwich – they are much too high tech for that - but they will tell you that the underwater cable pushes the signals from your computer round the world a lot faster than the satellites do. It’s amazing how London gets missed out of all the industrial history books. I know people who can talk in a similar way about industry in the Lee Valley, in Stratford – and about London’s huge aircraft industry. We didn’t have aircraft in Greenwich and, although they did make some railway locos in the Arsenal it wasn’t a big thing. Greenwich was big on the trams though – although I’m afraid it was maintenance and destruction in Charlton. What I said at the start is that of this article is that Greenwich industry was about research, skills and innovation. And, look, isn't this important to the way we live today and doesn’t it have some elements of romance in it too?? In the 1860s the Thames 'constituted the greatest shipbuilding area in the world'. There were shipyards all up and down the river. However the Greenwich peninsula stands out being shipyard free until one manufacturer came there with a big idea. As well as big ships there was always a need for the small craft that kept the whole system running with as many designs as purposes. But this was someone who wanted to build boats, thousands of them, all the same. Boats had been made up and down the river for millennia – but never ones like this! The National Company for Boat Building by Machinery had been set up by Nathan Thompson. He came from New York where Nathan had been a marine engineer. He said his system had taken him nineteen years to perfect and had been examined in New York by the United States Navy Department, He showed that it would take one man, working ten hours a day, eleven days and three hours to do it. Within four years Thompson had come to England. 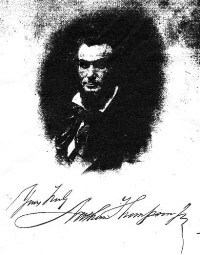 Thompson was the subject of an article by P. Barry in 'Dockyard Economy and Naval Power' who had visited Thompson's works. He praised Thompson's machinery as 'practical ....expeditious and economical' but also drew to the manufacture of wooden nutmegs in New England. His English readers may not have known that in America Connecticut is known the 'Nutmeg State' and that a wooden nutmeg refers to a native of that state whose intentions are dishonest. Thompson had a number of backers – chief of them Colonel Sykes, MP, Chairman of the East India Company. He produced a booklet consisting of letters of recommendation for his process which had been obtained following their visits to a demonstration works near Victoria Park in Old Ford, Hackney. So the Company prospectus included references from an astonishing number of people including the Dukes of Cambridge and Sutherland and to an assortment of shipbuilders and industrialists. Whether any of them ordered any boats from him isn't known. The letters are however, like the boats, mainly identical to each other. The idea was to produce a large number of identical small boats, made by a series of machines. Thompson claimed that 25,000 new small boats were needed every year in Britain and he thought that he could supply a quarter of these. Boats made to a system would be useful for all sorts of things. Space was taken up by boats on the decks of ships – they could carry more if they could be quickly assembled and disassembled. Duplicate parts could be supplied and repairs thus done without any difficulty. Thompson's boats, it was said, 'go together like a bedstead'. Landing craft could be stowed into a single transporter and then put together when time for the invasion arrived. Boats could also be packed up for overland journeys. His system depended on a series of machines – fourteen in all and all steam driven. The boats, which had to be all the same, moved through the system from one to another and were built up round a central 'assembling form' which, held everything together and in the right place. It was however calculated that labour costs for each boat made would be less than a quarter than those made by conventional means. The cheapness of boats produced by this method would mean that new boats could be bought by fisherman and others without access to large amounts of capital. Boats could be made very quickly – within hours of the order. Unfortunately they went out of business in their first year. Philip Banbury, writing in the 1970s, pointed out that Thompson did not mention that all the boats had to be the same and that there was little hope of persuading customers to buy so many of a standard type . Banbury estimated that boats needed on the Thames was 'perhaps 300 of over a dozen types and sizes'. small boats were usually very specialist and had evolved for a wide range of tasks and conditions. Small local boatbuilders had marginal capital costs whereas Thompson's machinery required a large investment. I don't know what happened to Thompson. In his report to the US Navy Department he said that he had taken out patents in: the United States, England, France, Russia Belgium, Holland, Sweden, Denmark, Austria, Sardinia, Turkey and Spain. Perhaps he went off and tried to make his system of boats pay somewhere else. perhaps somewhere in the world he was successful and perhaps somewhere there is a memorial to him. Perhaps, if he really was a 'wooden nutmeg' some of the capital he raised went with him and who knows what he did and where he went. 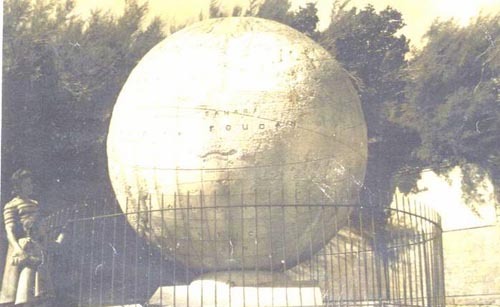 Some of the information used in this article came from Mystic Seaport Museum in Connecticut. They wrote and said they were hurt at my description of the ‘wooden nutmeg’ - he was in fact they said ‘a snake oil merchant’. How an east Greenwich factory enabled world wide electronic interaction - and how it became the central part of a local network of communication based industries. In 1999 the ‘Dome’ was nearing completion, with a strong emphasis on electronic technology while ignoring traditional industry. Greenwich was talked up as ‘The home of Time’, and Alcatel, with a factory near the Dome, published a booklet “Greenwich, Centre for Global telecommunications from 1850”. This was never picked up, not even by the local press, and the enormous contribution of local scientists, engineers and workers to the technology on show in the Dome, went unnoticed. Alcatel were, and are (as Alcatel-Lucent), based on the west bank of the Greenwich Peninsula on a site often known as Enderby Wharf. In 1837 the Enderby Brothers were asked to help in the development of pioneering telegraph cable technology. By the 1850s underwater cables were making possible an increasing pace of international communication and the Greenwich works, by then in other hands, was becoming the main manufacturing base for them. The heroic story of how a cable was laid across the Atlantic has been told many times. 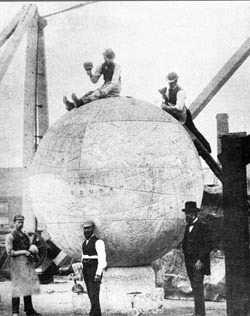 The eventual success was with cable made in Greenwich and laid by Brunel’s vast ship, Great Eastern. I always feel that the really great moment was when, having successfully laid the fourth cable, Great Eastern left Heart’s Content to sail off into the Atlantic and find the parted ends of the third, attempt. No one knew where she was, and there were stories she was lost. On 2nd September 1866 the needles on the instruments at Valentia flickered – the broken cable has been found and mended in mid-Atlantic and, not only did everyone know now where Great Eastern was, but that the world had changed too. The Greenwich Peninsula factory was to change owners several times, but for most of its history was known as Telcon. However, other local cable making factories were started - Hoopers on the Isle of Dogs, Henley at North Woolwich and Northfleet, Johnson and Phillips in Charlton, Siemens in Woolwich, STC at North Woolwich, BICC at Erith, and so on. Up to the 1920s the Greenwich factory produced the vast majority of underwater cables world wide. - Older local people will still remember the cable ships at Enderby Wharf. The expense of advancing technology brought mergers, and in 1970 STC became the sole British firm in the business, taking over the Greenwich site. Alcatel (itself the result of similar mergers in France) took over in 1994. These early cables relayed a very limited amount of information using Morse code. By 1924 Telcon, developed a cable system which could transmit 1,500 words per minute. Work continued, and continues, on improving cable. In the 1930s scientists at Telcon were developing polythene – with a trade name of Telcothene - for use in cables. At the same time ‘repeaters’ were developed for amplifying the signals as they travelled through the cable –repeaters are still made at Greenwich today. The last repeaters for use with coaxial cable were made in Greenwich for a system that was laid between the Canary Islands and Spain in 1977. Recently we have heard about the Nobel Prize awarded to Kao for his work, mainly undertaken in Harlow, on optical fibre technology. Much of the work to build optical fibres into submarine cables took place in Greenwich and the first cables and repeaters using this system were developed in early 1980s; though cable manufacture at Greenwich then ceased – going to STC’s Southampton factory (and later Calais, under Alcatel). The first transatlantic optical system was laid in 1988 with 10,000 telephone channels. Since then development has escalated. Ten years ago Alacatel’s booklet of 1999 boasted that Greenwich based scientists were producing cable which could send 10 million copies of the Daily Telegraph every second, far superior to what could be sent via satellite. Goodness knows what it can do now! We all talk about how global telecommunications are used every day by all us – this is where it began! Production and development of much telecommunications technology came from South East London – although obviously as companies expanded factories and research centres were built elsewhere. Of the other companies involved the biggest was Siemens based in Woolwich, their site being roughly between the Thames Barrier and the Woolwich Road. They became part of AEI, then GEC, eventually closing in 1968. Looking at photographs of their production lines it comes as a shock to realize that all those telephones we knew and used before the introduction of the mobile were developed and made in Woolwich. Siemens made telecommunications cables but they also made and developed a vast range of enabling devices – oh – and yes they also developed and made telephone exchanges. When Siemens closed a group of their apprentices and technologists continued to meet. 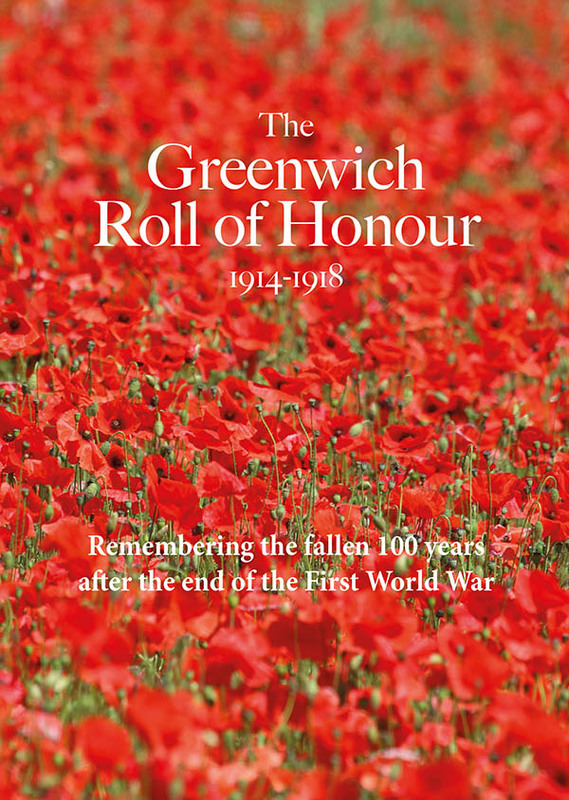 They are now all OAPs and as the Siemens Engineering Society have published an archive document – and an attempt leave some information about what was achieved in Woolwich, which is now lodged at the Greenwich Heritage Centre. And where else can we find out about Greenwich’s great contributions to the electronics revolution. Well – not locally! The best place is the museum at Porthcurno on the very tip of Cornwall. I would recommend a visit to Valentia, in South West Ireland, for the romance of the transatlantic cable. I am told there is a museum at Heart’s Content, in Nova Scotia. Most of all I feel that local people should know about all this, be proud of it and tell the world. It is after all the skills of all those in the local workforce who developed and made these devices which made this revolution we talk about actually happen. Mary Mills would like to thank Richard Buchanan for advice and additional information in researching this article.